When we think about eugenics, generally Mengele and his beyond-horrific experiments come to mind. Eugenics=Nazis. 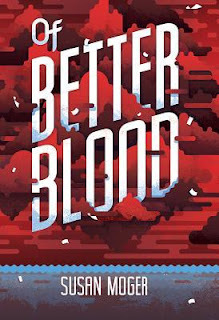 Of Better Blood talks about the enthusiastic embrace of eugenics in early 20th century America, and how as a nation, we've shoved yet another dirty secret under the rug, hoping it will go away. Unfortunately, the message and the awareness of the American eugenics movement is the best part about Of Better Blood. 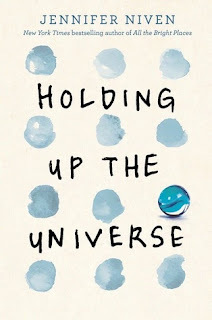 It is a book with great intentions and a strong sense of justice, but it might have been better as narrative nonfiction, because the plot jumps here, there, and everywhere, effectually getting us nowhere. Rowan, the rather improbably-for-the-1920s named heroine of the story, opens her tale at a county fair, in which she plays an Unfit Person in a charming, belly-laugh-inducing skit about Unfit People of America Who Should Not Be Allowed To Procreate. A person's level of unfitness is not determined solely by any sort of physical or mental issue, but also by one's nationality or race: the Irish, for example, are unfit, and so are all black people. Eugenicists: I smelled their foul stench when I was brought on board. However, Rowan hasn't always been humiliated in front of an audience: she's a Collier. Oh, sorry, you want her family history? She's more than happy to recite her lineage to you. The Colliers of New York are an old and prestigious family who walked straight out of Edith Wharton. Rowan's father and older sister Julia are fervent members of the Betterment Society, which seeks to "better" society by removing the unfit or sterilizing them so they can't contaminate America with more babies. And yes, this was a real thing. It still is, for some people. I wouldn't go poking around those dark and fetid corners of the internet, though. Father indoctrinates Rowan with the belief that she, as a Collier, is "strong stock" and, when "tested by a catastrophe or illness, [draws] on the strength of our family heritage." But when Rowan contracts polio one summer day at the beach, her father abandons her, believing her to be contaminated by her mother's weak, non-Collier blood. Lying in Bellevue hospital without the use of her legs, Rowan still believes that her family will take her back once she recovers. Instead, Father runs off to war in Europe and Julia authorizes her transfer from the hospital to The Boston Home for Crippled Children. As you could probably guess, this is not a nice place. Julia also allows the Home to send Rowan off with a man named Ogilvie, who renames her Ruthie and makes her act in his despicable play about Unfit Persons. Ogilvie and his sister make the rounds of county fairs, abusing their actors. When the Ogilvies lock the actors in a tiny cabin and leave them to die in a fire, Rowan escapes with her new friend Dorchy, who comes from a carny family. The Ogilvies try to pin the blame on Rowan, and Mr. Ogilvie reveals the ... depth of his feelings for her. The two girls flee to Boston and decide to go camp on the shore of Cape Cod, because ... that's what you do when you run away from predatory sideshow-running nutjobs! This is where the plot started to break down. The author really needed to ground this novel somewhere. We move around a lot in time and space, but none of these places are ever fully fleshed out, except for the island at the end. 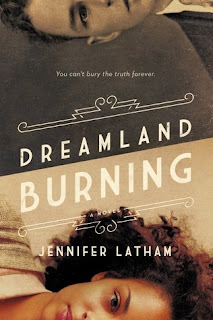 Including the beach sequence, where the girls meet emancipated lady artists, feels like a truncated plotline that was never fully developed but that the author didn't want to cut. Abruptly, Dorchy and Rowan decide to trust ladies of the Betterment Society who promise to keep them from the Ogilvies by sending them to be counselors at a Betterment camp. Here, we meet yet another cast of villains and unfortunates from whom the two girls must try to escape. The camp is actually an extermination camp, except instead of the later methods of gas and guns, the American scientists and ladies of the ton who are into getting rid of all the poor use a lethal strain of influenza. It is a supremely creepy and unsettling place, especially because it's off the coast of Maine, which I firmly believe to be the scariest state in literature. The ending was supremely melodramatic, with a giant storm and great sacrifice and the escape of the Evil Villainess. 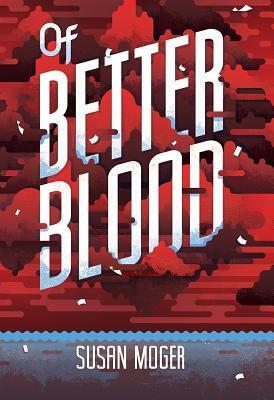 Of Better Blood had a great premise and tells a story that needs to be told, but the poor plotting and flat characterization do the book no favors. If the influenza angle intrigues you, try Makiia Lucier's excellent A Death-Struck Year or, for nonfiction, John Barry's The Great Influenza.